Jonas Salk's polio vaccine is regarded as a veritbale medical miracle, for it largely eradicated one of the most feared diseases of the 20th century. But the story of the vaccine has a dark side, one that has never been fully told before. Between 1954 and 1963, close to 98 million Americans received polio vaccinations contaminated with a carcinogenic monkey virus, now known as SV40. The government downplayed the incident, and it was generally accepted that although oncogenic to lab animals, SV40 was harmless to humans. 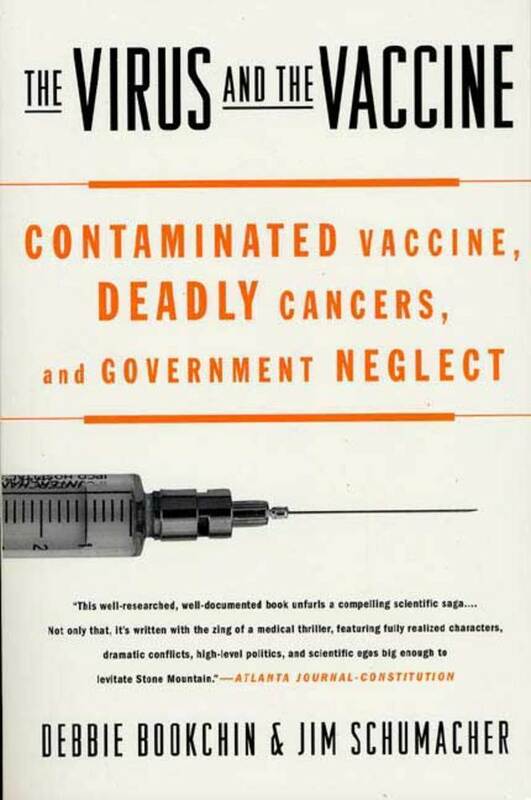 But now SV40 is showing up in human cancers, and prominent researchers are demanding a serious public health response to this forgotten polio vaccine contaminant. A gripping medical detective story, The Virus and the Vaccine raises major questions about vaccine policy. Debbie Bookchin has been a journalist since 1979 and has won awards for her news, feature and investigative reporting. She has written for The Boston Globe, The Nation, The New York Times, and numerous other publications. Jim Schumacher is a lawyer and writer whose work has appeared in Boston Magazine, Newsday, and The Atlantic Monthly, among others. Bookchin and Schumacher are married to each other and live in Vermont with their daughter. 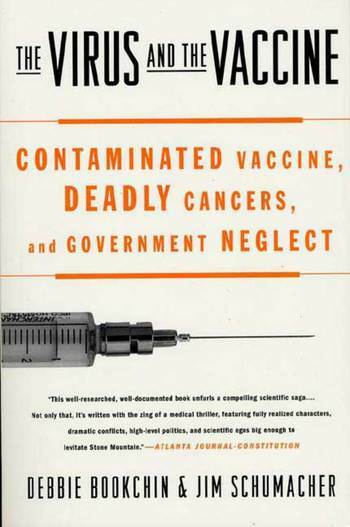 The article on which The Virus and the Vaccine is based was originally published in The Atlantic Monthly in 2000 and earned a selection in the HarperCollins book Best Science Writing 2001.